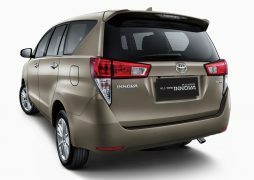 The Innova has been India’s favourite MPV ever since its launch more than a decade ago. Even in the face of newer, cheaper competition, the Innova managed to hold its own thanks to the supreme comfort and reliability the MPV offers. 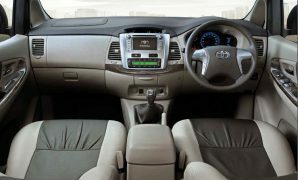 Last year, Toyota unveiled the all new Innova globally and showcased the same at the Auto Expo recently, where they revealed that it will be sold under the ‘Innova Crysta’ moniker in India. 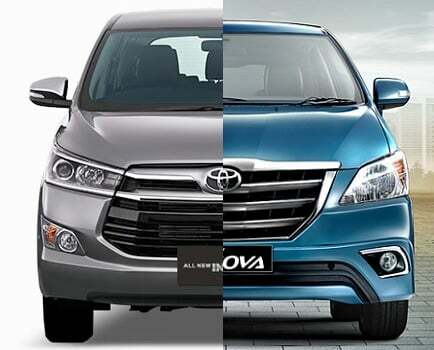 The current Innova is easily the most trusted MPVs of the lot so, naturally, expectations are high and in this Toyota Innova Old vs New comparo, we will try to ascertain the new Innova has what it takes to carry the brand’s legacy forward. The Innova Crysta is significantly more expensive than the current car with the entry level trim priced at a premium of more than a lakh. For reference, the current model starts at INR 12.64 lacs for the base ‘G’ trim topping out at INR 16.16 lacs for the top-spec ZX trim. The new model starts at almost 14 lacs, going all the way up to almost 21 lacs! Toyota, with the Innova Crysta, might be targeting the likes of the XUV500 and even sedans such as the Skoda Octavia by offering the same levels of luxury and equipment in an MPV bodyshell. However, it is still more expensive than the XUV500 and the upcoming Tata Hexa is expected to be priced below the Innova Crysta. The current Innova has been criticised for the lack of features on offer compared to its immediate rivals. Obviously, an increase in price signifies addition of comfort and luxury features. offers a long list of equipment including Keyless entry, start/stop, 7 inch AVN, and a lot more. ABS and dual airbags are standard as well. Toyota is looking to market the Innova Crysta as a high-end luxury offering, which means it will come loaded to the gills with features. Nothing has been carried over from the old Innova, apart from the name. The engines powering the MPV are all-new as well. These include 2.4 litre and 2.8 litre GD Series diesel engines. A 2.0 L TR Series petrol engine will be added to the lineup around August this year. 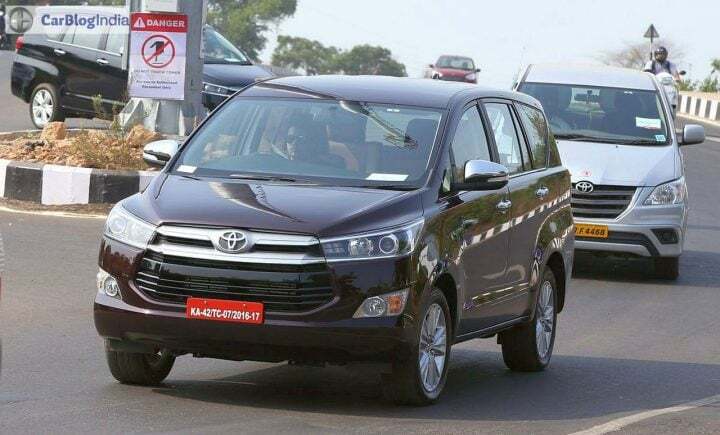 Although the current Innova is available only with a diesel engine option, the Innova Crysta is expected to feature a petrol engine as well keeping the Delhi diesel ban in mind. The Innova Crysta sees a significant bump in power thanks to all new engines and also features a 6-speed Automatic that comes mated to the 2.8 L diesel variant. Dimensionally, it is significantly bigger than the current car, which translates to more passenger and luggage space. The new Innova Crysta is around 10 percent more fuel efficient than the current version. All this means is that the Innova Crysta could have a fuel mileage of roughly 11 km/l in city and around 16 km/l on the highways. Toyota is claiming an ARAI certified fuel mileage figures of 15.10 kpl for the manual and 14.29 kpl for the Automatic. The outgoing model returned an ARAI certified 12.99 kpl. The Innova Crysta carries forward the same van-like silhouette as the old car. However, that’s where the similarities end. The obvious increase in size and fresh new styling set it apart from the current model. The gaping grille and sleek headlamps with projector elements and LED DRLs lend the Innova’s Crysta’s fascia some much-needed aggressiveness. The side and rear are two areas where the designers seem to have lost the plot a little. Step inside and you will be greeted by a cabin which feels it belongs to cars a couple of segments above, especially when compared with the old Innova’s dull cabin. The design, materials used, equipment levels, are all top notch and interiors of the new Innova finally managed to do justice to the price tag. Design – Much more modern and appealing. However, the rear end is a bit bland and it still looks like a van. Interiors are much better now. 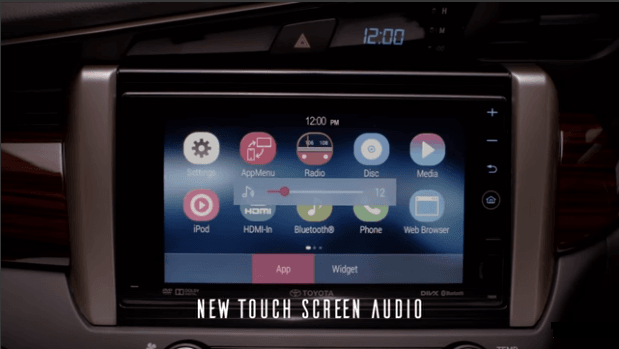 Features – The Innova Crysta will come loaded with features, unlike the old Innova. Some of the highlights are 7 airbags, ambient lighting, hill start assist, auto shut tailgate, etc. But they do come at a price. Specifications – All new set of diesel engines with manual and automatic options power the Innova Crysta with a significant bump in power and torque figures. Fuel Mileage has also increased. Price – The Innova Crysta is significantly more expensive than the outgoing car. But it offers a lot more in every aspect, but we feel it is still not enough to justify the exhorbitant pricing of the top-end trims. 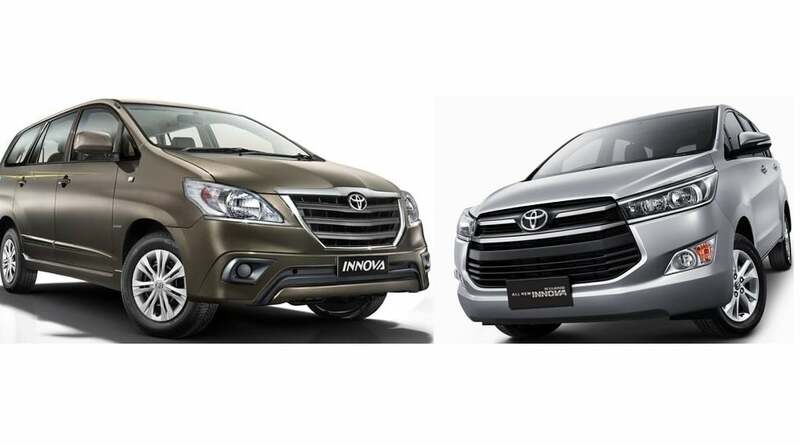 What do you think of our Toyota Innova Old vs New comparison? Let us know by commenting below. 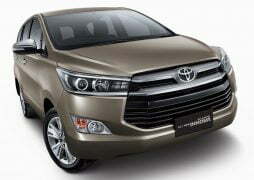 Stay tuned to Car Blog India for more updates on Toyota Innova Old vs New and other news and reviews. 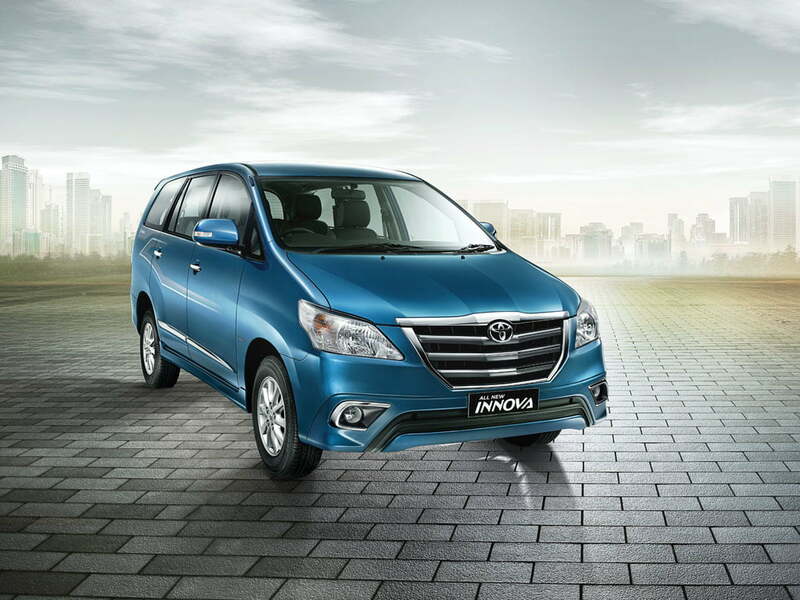 Stay tuned to Car Blog India for more on the 2016 Toyota Innova Crysta price in India. Watch this space for more stories like Toyota Innova Old vs New comparison.